Thinking about searching for buried treasure in Michigan? There are many areas to search. Michigan has stories about lost and hidden treasures throughout the State. I’ve given you a few stories below. Do you own a metal detector? When searching for treasure it’s a good idea to have one. 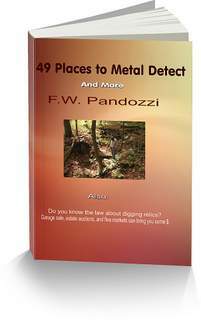 If you wonder which kind of metal detector to own, do your research before you buy one. There is a lot of information on the Internet, but be careful what you read on a lot of the metal detecting forums. Many posters are biased when it comes to which detector to buy. Find a reputable dealer that others have trusted, and don’t spend a lot of money on your first detector. A $250 detector will find treasure. Research further the stories I have listed below. To be successful at treasure hunting you need lots of information. Use the Internet, but do not rely solely on that information. Try to read old magazines, newspapers, or books having to do with the buried treasure you are searching for. Historical societies have a lot of information on micro film. I use them all the time. Good luck with your search for buried treasure in Michigan. North Fox Island, off Grand Traverse Bay was the scene of a recovered buried cache in 1905 worth $100,000. The treasure consisted of Spanish gold and silver coins. There have been rumors that more treasures are buried there. Cat Head Point, near Northport, on county route 201, has supposed treasures buried by looters after the Great Chicago Fire in 1871. The stolen money was taken from several banks. Drummond Island, in Lake Huron, supposedly contains a treasure buried by General Monk, the commander of the British garrison on the island. The stories state the he buried a large iron chest of army funds near the fort. The fort was located on the southwest end of the island. The Henry Dansman Treasure, is rumored to be between Lake August and the village of Posen on county route 65. Dansman was a wealthy farmer and apparently buried the cache of diamonds, gold and silver coins on his property. Pay attention to Michigan laws. The Antiquities Act Law needs to be understood. 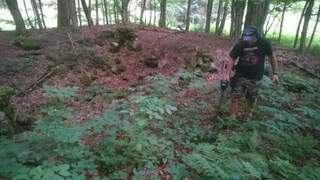 When I was producing the first metal detecting, TV series, Exploring History’s Treasures, the archaeologists united to shut me down. They were spreading lies that we were illegally digging, and that we were showing our viewers how to do the same. They hired lawyers to fight me, but in the end I fought back and won. Buried treasure in Michigan may be located in ghost towns.